One of the aspects of the Internet of Things is the ability to track both people and products simultaneously. This ability is essentially what is allowing the creation of cashierless checkout at stores, the most visible example being the Amazon Go stores in the works for some time now. However, others are now getting into the action in an attempt to increase frictionless checkout by various means at stores. For example, Ricker’s is rolling out a hybrid of mobile pay and Amazon Go in 58 of its convenience stores in Indiana. In this case, Ricker’s is using Skip, the maker of a mobile self-checkout app, but the result is the same: the consumer bypasses a checkout line. In the case of Amazon, its technology also tracks the products going into the hands, pockets or purses of shoppers and keeps a tally to charge customers’ Amazon accounts as soon as they walk out of the store. 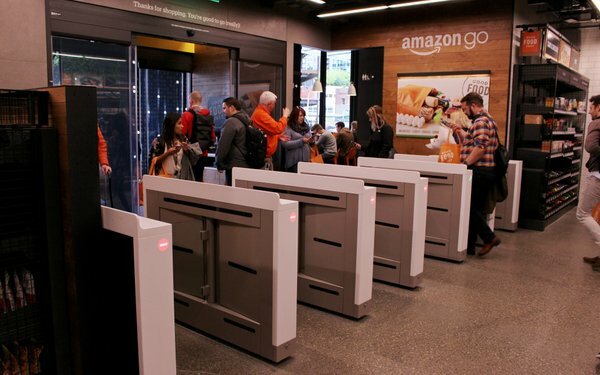 Amazon officially opened its first Amazon Go convenience store in January and its second this week in Seattle. Ricker’s aims to use the faster checkout system to convert frequent fuel purchasers at its pumps outdoors into loyal in-store customers after fueling their vehicle. In San Francisco, another automated checkout market in in trials. A mini-mart called Zippin recently started testing its automated checkout system. And in China, well-funded BingoBox is opening cashier-free, computer vision-enabled convenience stores using RFID tags to track products in stores it’s opening across the country. As more stores tap IoT technology to join the movement to easier and faster checkout systems, shopper behaviors will evolve. Over time, this way of getting out of a store will come to be expected.